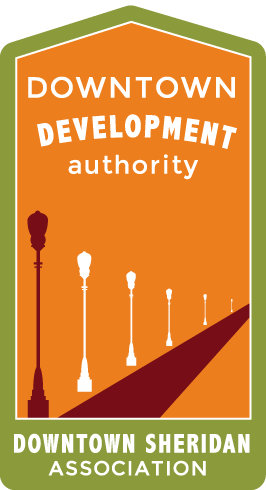 The Sheridan Downtown Development Authority is a development agency responsible for making many improvements in the downtown Sheridan area. Working in partnership with the Downtown Sheridan Association, the Authority focuses on projects that have benefit for the entire community. The mission of the SDDA is to grow, strengthen, and promote the economic health and vitality of downtown Sheridan. The SDDA builds public and private investment partnerships that promote the economic growth of Sheridan. To do this, SDDA uses tools such as tax increment financing, which captures a defined portion of the property revenues in a designated area in Sheridan. A five-member board and one City Councilor work hand in hand with the DSA to implement downtown Sheridan’s development plan. One member of the SDDA also serves on the DSA board to ensure communication and success between the two groups.